Getting there: The Kennedy Trailhead is about 3 miles southeast from the town center of Los Gatos. Drive on Kennedy Road until you reach the restricted access road at the junction of Top of the Hill Road and Kennedy Road. This road is the beginning of the trail. The first four miles of the hike are on a shaded, winding path. After circling the trail in an exposed valley, the trail re-enters a wooded area back up to Kennedy Trail. This Sierra Azul hike is the perfect way to jumpstart your New Year’s resolution, get outside and be active. If you’re in need of a close to home excursion around the holidays, this trek is a great option. I joined 20 members of the POST community on a beautiful December day to complete this trail, and it was full of sweeping vistas and steep grades. We started at the trailhead off of Kennedy Road. Parking is quite limited, so if you plan on bringing friends or family along it would be best to carpool. There weren’t many other hikers, but quite a few intrepid souls biking up and down the steep hills. Be cautious of blind corners on this trail, as it is a popular mountain biking spot. 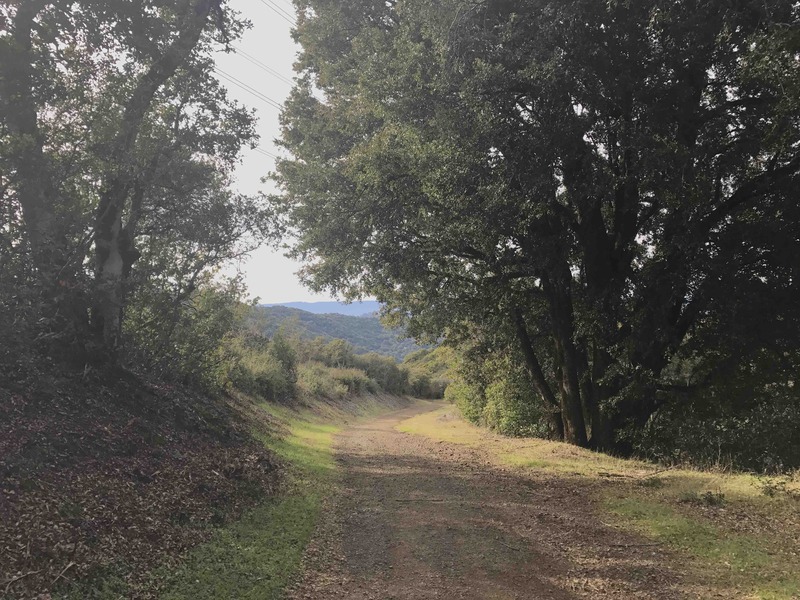 The first four miles were a slow climb overlooking San Jose and the surrounding areas, including a peek of the bay and the rolling Santa Cruz Mountains. After a quick break at the four-mile mark on the Kennedy Trail, our group continued ahead to go down the Priest Rock Trail then loop back up on the Limekiln Trail. The first section was a steep downhill into an exposed valley. Remember, what goes down must come up – the second half of the loop was a long, steep ascent back to the beginning of the loop trail. Be on the lookout for the peaks of Mt. Thayer and Mt. Umunhum on the loop. While very challenging, this trek was a great combination of exercise and scenery. The 3,000+ feet of elevation change might mean your legs will be hurting, but it also means you are treated to a continuously changing landscape and amazing views of the surrounding areas. 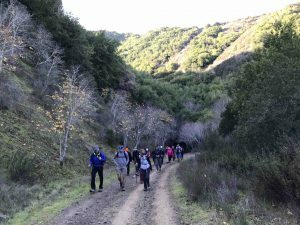 Whether you’re looking for outdoor exercise options to start a healthy 2017 or just want a challenging hike with rewarding views, I recommend this trek on this beautiful Sierra Azul hike! Come join us for one of our upcoming events! Learn more here. 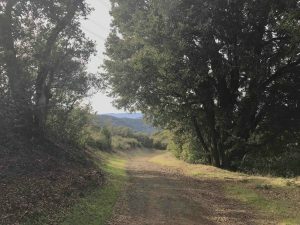 POST has protected 14 properties and just over 4,000 acres of what is now 18,000-acre Sierra Azul Open Space Preserve. This preserve is now managed by our partners at the Midpeninsula Regional Open Space District.